Mariscos German - San Diego Dining Dish! 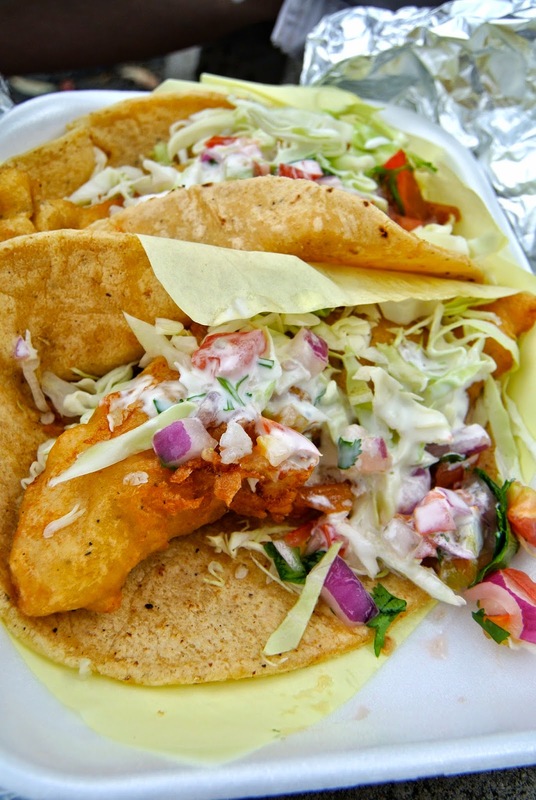 Since I've lived in San Diego, I've eaten many, many fish tacos. I have had some good ones that have since gone downhill, some very good ones, and some disgusting ones that shall not be named. 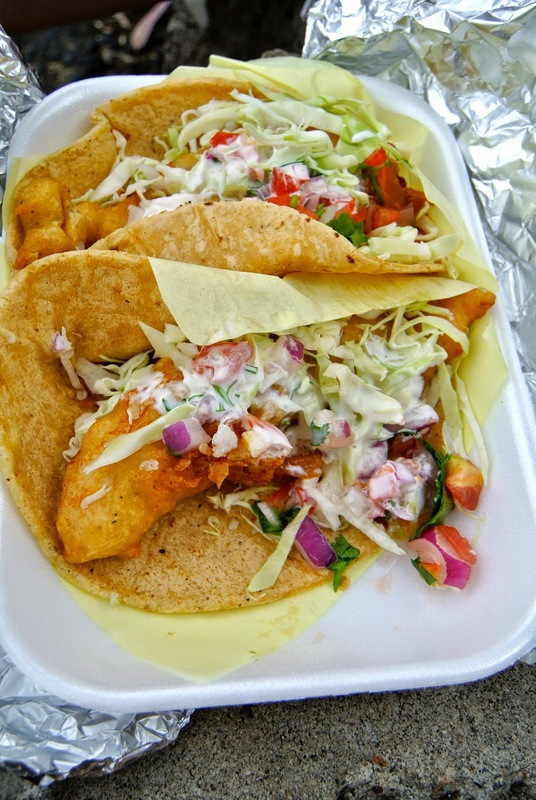 When I heard that some of the best fish tacos north of the border were being served from a food truck parked in San Ysidro, and cost a mere 1.25 a piece, I was there in a New York minute to try them. We went on a Saturday afternoon, lunchtime, and there was a respectable line. This looked promising, if this many people were lined up on a perfectly good Saturday to have a taco. The most ordered item was the fish taco, but the steak and shrimp looked good too. The tacos are made to order, so it does take a bit longer than one might expect. We ordered two fish tacos and a Mexican Coke, and waited. While we waited, cups of delicious broth were given away; it kept the lines happy, no complaining was heard! The broth was a garlicky, slightly spicy red consumme, making me resolve to try one of the delicious soups next time. Our tacos came out, and not only were they much bigger than expected, the flavor was incredible. The tortillas, although not freshly made (it's a truck, after all) were certainly made that day, by someone who knew what they were doing. The fish was so light and flavorful, with a perfect fried crust. I loved every bite! Best fish taco that I've ever had. The ingredients just came together and worked. After eating the tacos, we were still hungry, and that surf n' turf taco sounded too good to pass up, so in with another order. The price? 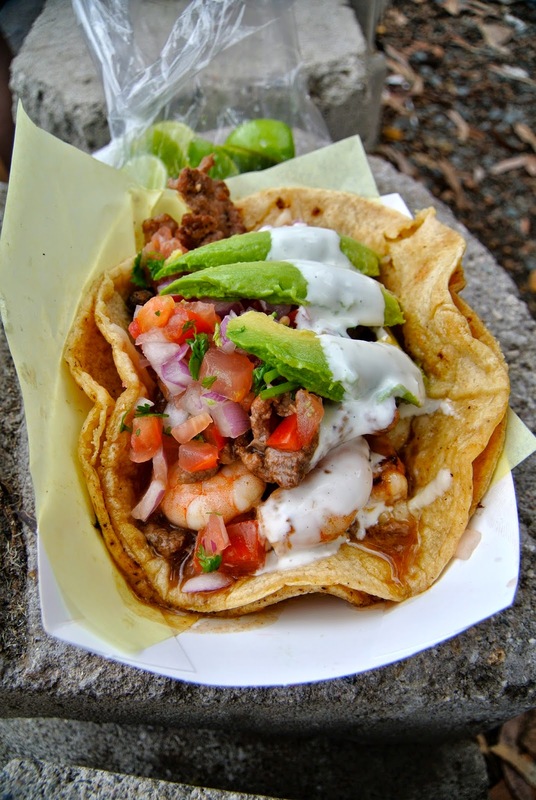 A mere $4, way less than any other taco that I've had with fresh grilled shrimp, big hunks of tasty steak, and fresh avocado. This taco was quite filling, and again, something I would reorder upon a second visit. 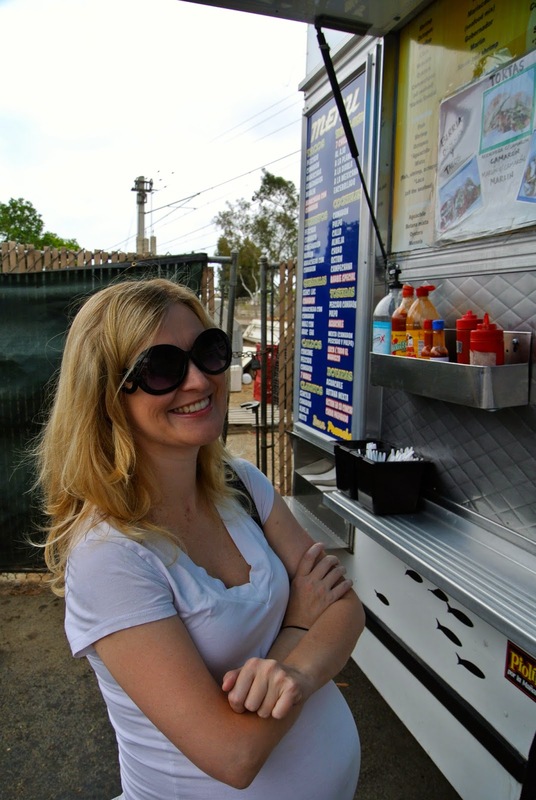 Verdict: Best tacos in SD!